Najib is the co-owner and founder of Johnson Physical Therapy & Rehab P.C. Najib graduated from the University of Wisconsin in 1992 with a degree in physical therapy. Immediately after his graduation he followed his dream and moved to Colorado. Najib has over 26 years of experience working with a wide variety of diagnoses and patients of all ages. His primary area of expertise is orthopedics and manual therapy. He has hundreds of hours of continuing education in these areas. 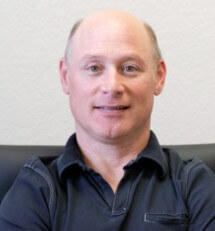 In 2000 he became a certified manual therapist and has recently became certified in dry needling. Najib is an active member of the Cortez community, sponsoring many local charities and events. He serves as the head coach of the middle school mountain bike team as well. In his spare time he enjoys skiing, mountain biking, rock climbing and spending time with his wife, Julie, and their two active kids.